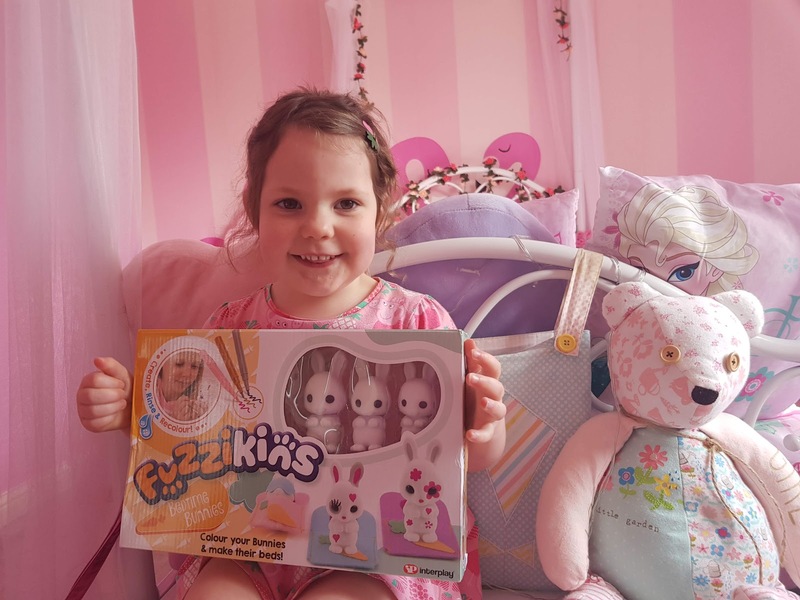 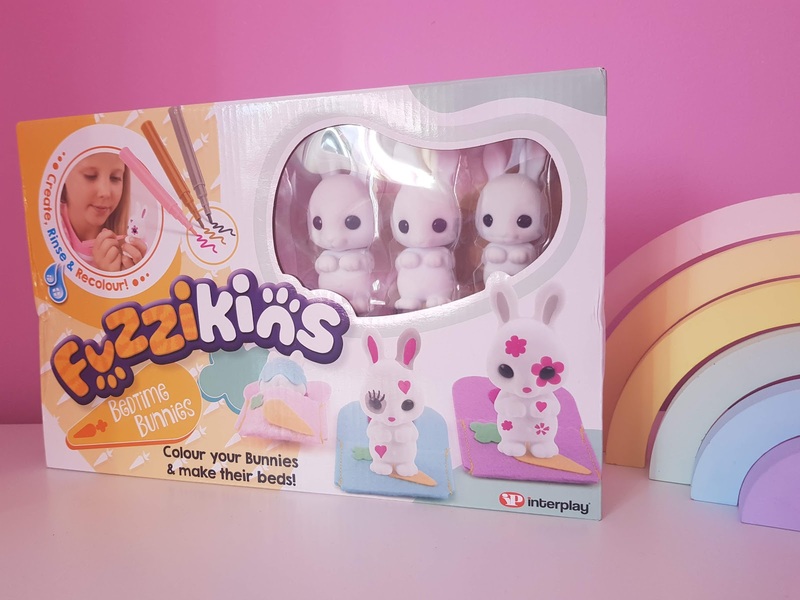 With Easter around the corner the arrival of these cute little fuzzikins bedtime bunnies in the Blogging Beautifully household were well received. 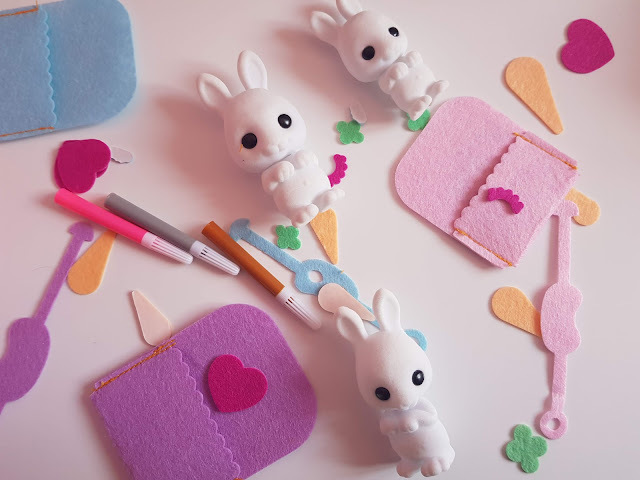 This cutesy little set contains 3 fuzzy bunnies, felt tip pens and an assortment of felt accessories that your child can use to personalise the bunnies and then play with. 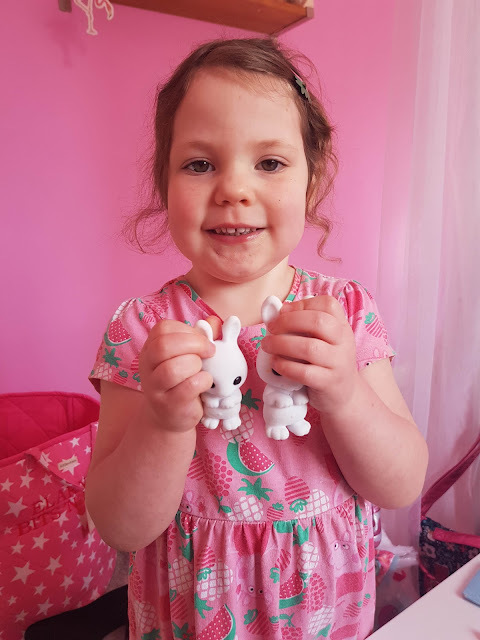 With three different sized bunnies, naturally we had Mummy Bunny, Daddy Bunny and Baby Bunny! 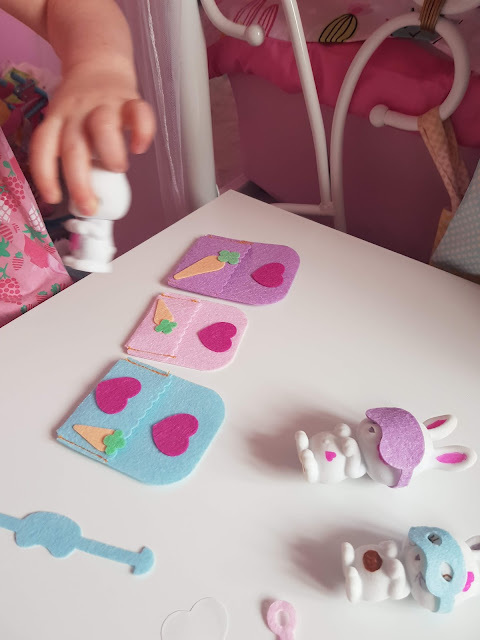 Using the felt tips included the child can decorate and draw on the bunnies to their hearts content and then they can actually be washed and recoloured which is a nice added feature. Very little assistance is needed to help with the bunnies, Elarna was more than happy to colour them in by herself and set them up in their little beds, I did need to give some help sticking the little felt accessories on and tried a little bit of colouring in but other than that she was perfectly happy to solo play. 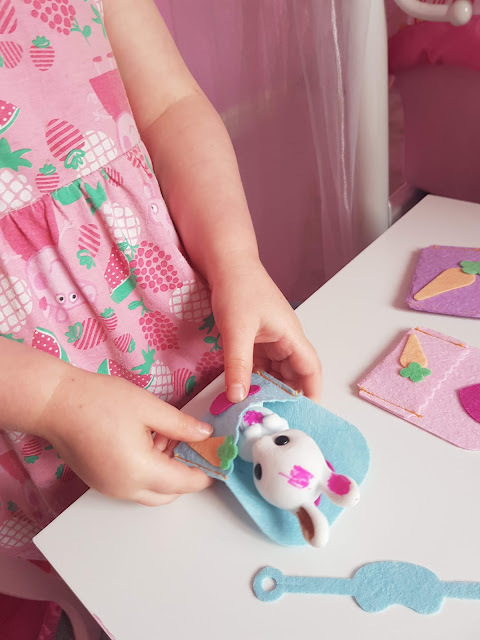 She's very good at creating little stories and I do love watching her imagination grow. 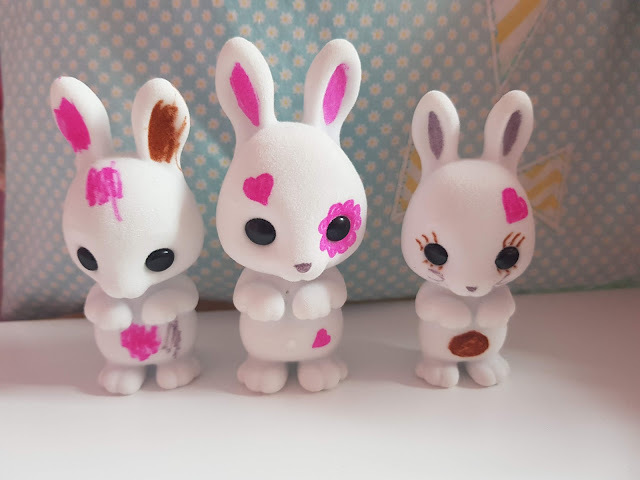 - The felt tips may stain so just be cautious about where they are used, best to read the instructions before hand! 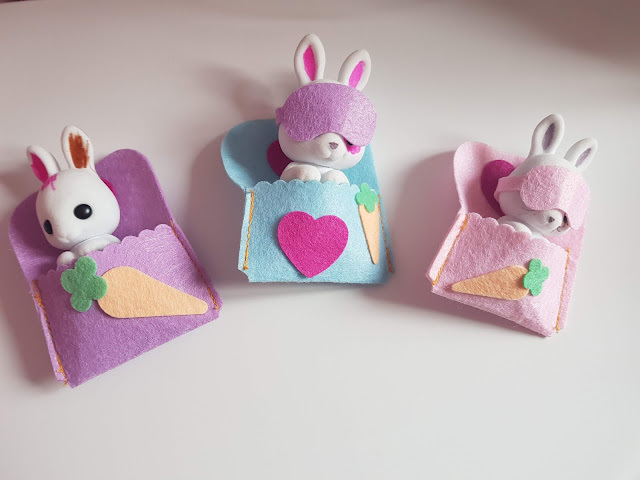 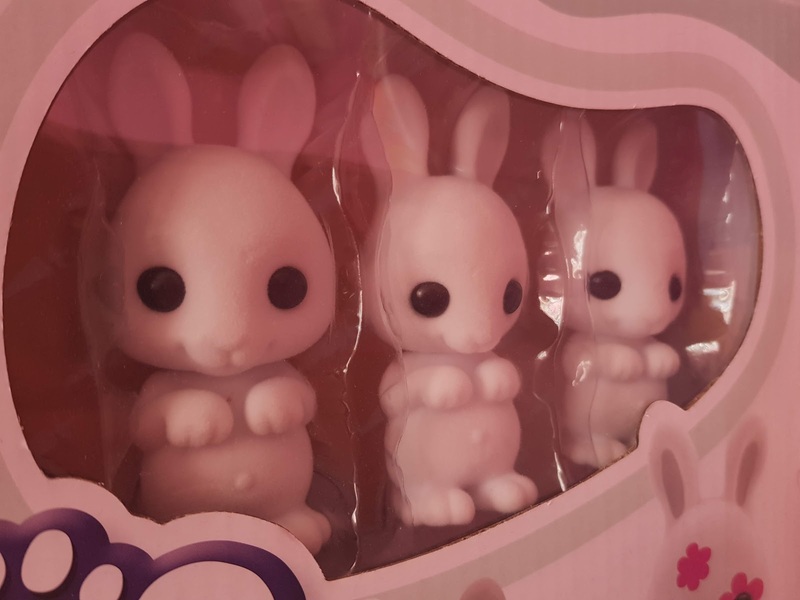 They are very similar to Sylvanian Families which Elarna loves so they have been in a hit in our house, they really are so cute, they would make a really nice alternative Easter gift or part of an Easter hamper. I'll leave you with a few more pictures of Elarna playing with them! 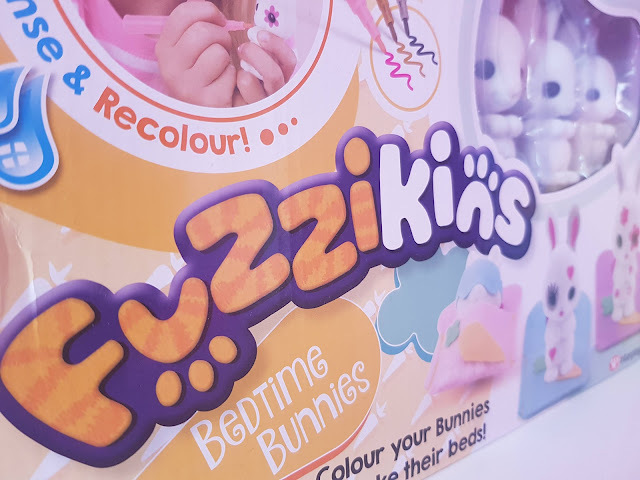 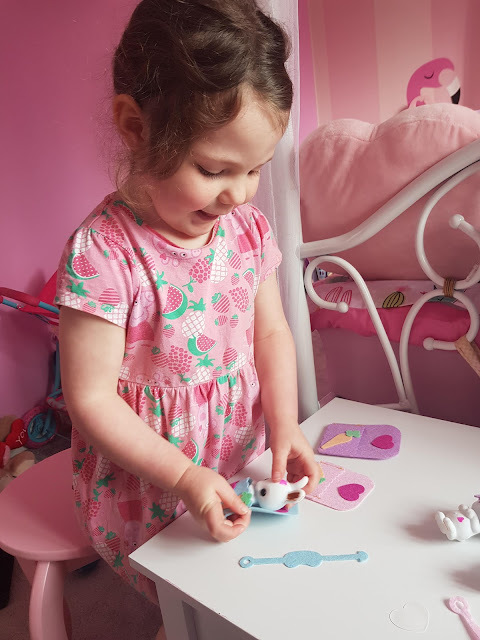 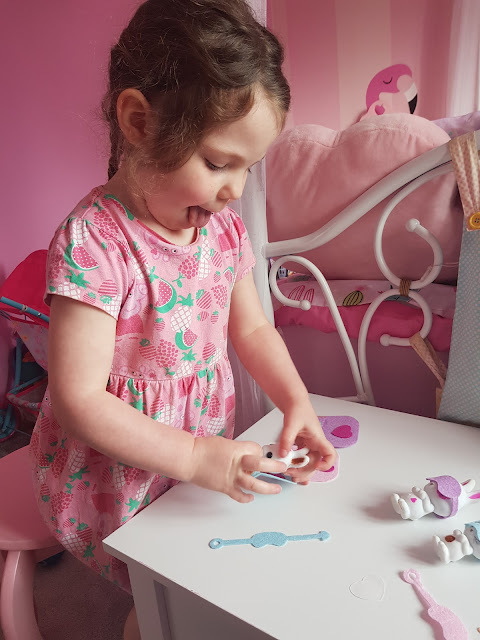 Overall we really liked Fuzzikins Bedtime Bunnies, it's a lovely little set and there are more available in the rage. 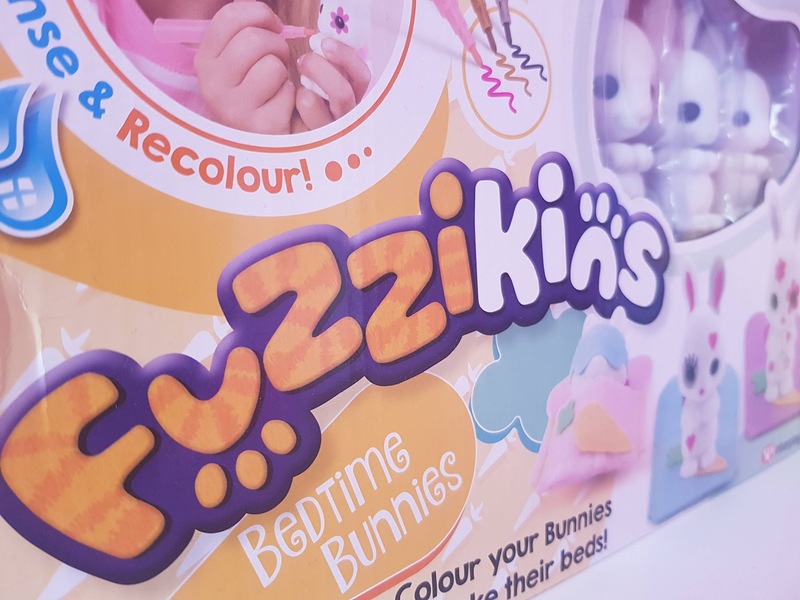 Available from leading retailers, perfect for Easter and would make a lovely gift for a child age 3+. * Please note we were kindly sent the item free of charge in exchange for an honest opinion, all thoughts are my own.